« Oracle Database Doesn’t Use Hugepages Correctly. What’s Better, Reserved or Used? I’d be happy if the major innovation was being able to run a 10.2.0.4 16G SGA on x86_64. He offered a link to a thread on his blog where he has been chronicling his unsuccessful attempts to boot a 16GB SGA on the same iron that seemed to have no problem doing so with 10.2.0.3. We also see that the shmget() call did flag in SHM_HUGETLB and correspondingly we see the shmkey in the ipcs output. We also see hugepages being used, although mostly just reserved. So, I haven’t been able to see Jeff’s strace output or other such diagnostic information so I can’t help there. However, this blog post is meant to be a confidence booster to any wayward googler who might happen to be having difficulty booting a VLM SGA on AMD Opteron running Linux with Oracle Database 10g release 10.2.0.4. 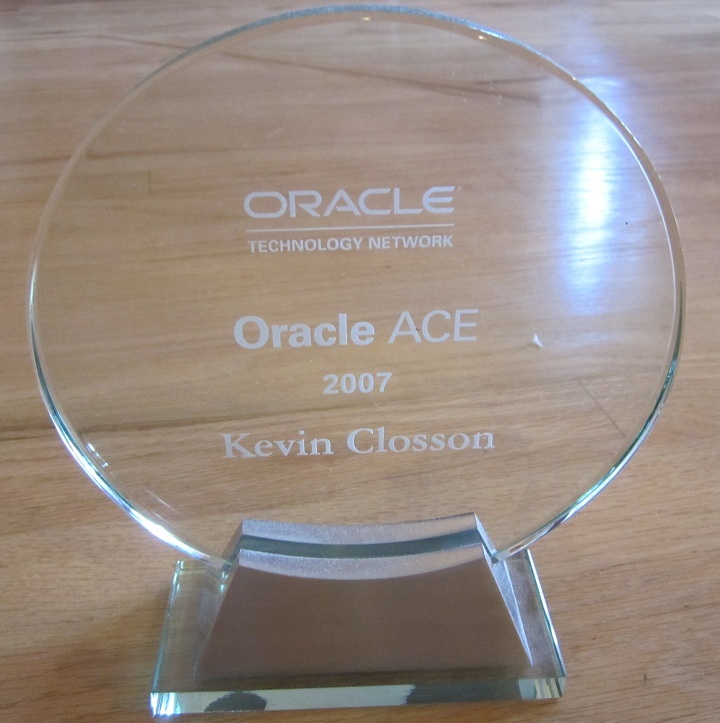 Oracle on Opteron with Linux–The NUMA Angle Part VI. Introducing Cyclops. Pardon the apparent cynic comment, Kevin: it isn’t meant that way and you know it isn’t. Others might not, hence the disclaimer. But isn’t it about time Oracle got itself configured automatically for all these things, maybe with a single and easy to recall parameter? I mean: you and I (well, I can spell the things involved, you actually *know* them) and many others of our crop can grok what’s going on and adjust accordingly. I doubt if a handfull of dbas of the last 8 year crop will be able to even knock on the door of what’s ticking and why, other than: “I can’t get it going”. But you get the picture. This is the sort of thing I’d expect the Linux port to be able to figger by itself, preferably without one having to cough up a licence of the “linux/numa” performance pack for grid/oem at a cost that pales the national debt of a medium-size country. Or am I aiming too high? I don’t think you’re entirely off base, Noons. It really shouldn’t be that way. Even though it is reactive to want so, I do wish I could get a full diagnostic from Jeff because I can’t for the life of me figure out how his setup could be that broken. I’ve asked for strace but I really could use init.ora, strace and the alert log. Since he is currently not able to boot even a 4GB SGA something is really fishy. I think Jeff will get some click-throughs and perhaps he’ll join this thread. Jeff is sharp, so this is likely not a surface problem. Maybe we could learn something that could come in handy for 10.2.0.5, and, as usual, help the wayward googler someday. I emailed you the strace output to the email indicated in the “Appearances/Contact” section of this blog. After following through some of the examples, I may have more cluses about my issue. Although my Hugepagesize is 2048kB, the output from /etc/meminfo indicates my HugePages_total and HugePages_free are both 0. Do you know what version of linux Mary was running when she started oracle 10.2.0.4 up on the proliant with 16G of sga? Was it redhat 4 or redhat 5 and which update? Mary’s oracle appears to only use 1 shared memory segment. I notice recently that my linux x86_64 box uses multiple shared memory segment but my 10.2.0.4 x86 one uses 1 single shared memory segment. Just curious to see if we’re all on the same version of redhat or linux. Maybe I can offer some twist as well. I have similar issues. My issue though has to do with pre page sga- true. I can in fact boot any size SGA so far as I get the huge pages proportionately higher than sga. The ratio is a mystery to me at this moment but hoevers around 65% of the SGA. That is if the huge page is 35% higher than size of SGA. I am battling this one with oracle now as we speak. Anthony, maybe you can share which Oracle 10G and Linux you have tested the above. I’m planning to test similar parameters with 30GB SGA. which is looking wrong to me. You need to aggregate up to a number that fits both. 4868 might be enough for the 8g instance but not enough for both instances.You need somewhere north of 5000 hugepages. If you are just working this out I receommend you set hugepages to 6000, boot both instances and examine /proc/meminfo see how over-configured you are, adjust down and then keep thoese values. There is some patch to 11.2 that implements an init.ora parameter (can’t remember specifics at the moment) that forces the instance to use hugepages or fail the instance startup. That’s the best way to go.